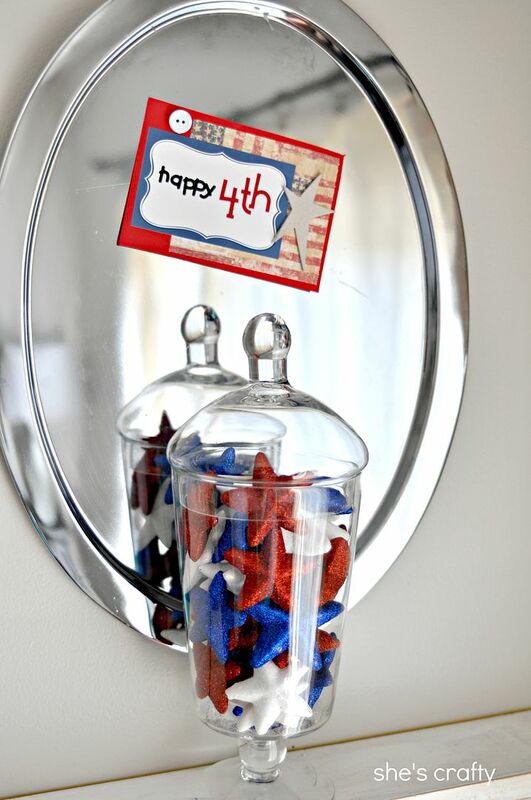 I kept things pretty simple in our 4th of July decorating! I use a shelf in our dining area as a mantle and it's my fave place to decorate for the holidays. The stars in the jar are from Hobby Lobby. I made the "happy 4th sign" with products from my stash. 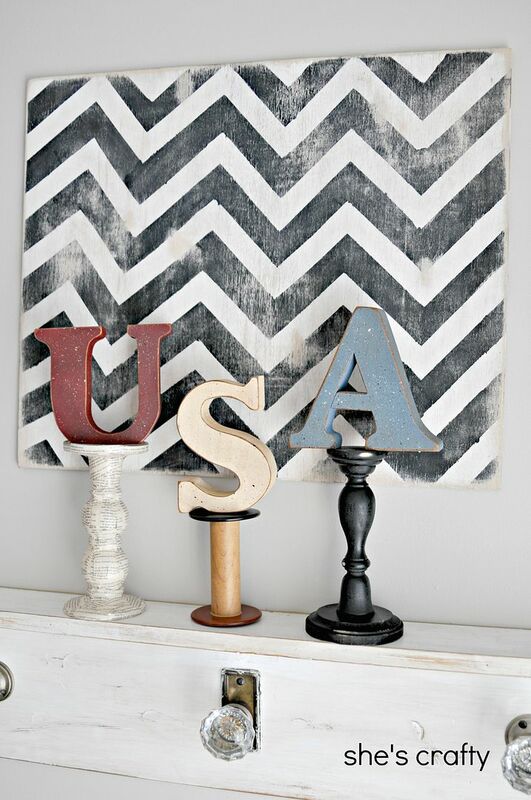 In front of my chevron wall art is some USA wooden letters I've had forever. I elevated them on mismatched candlesticks. 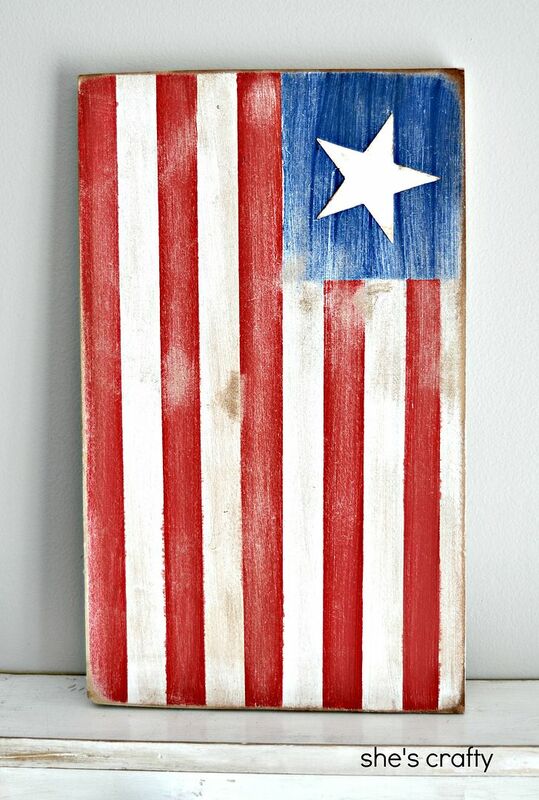 And of course the painted wooden flag. So simple, bright and fun!! Super cute! I love how everything looks against the chevron art! Looks great! 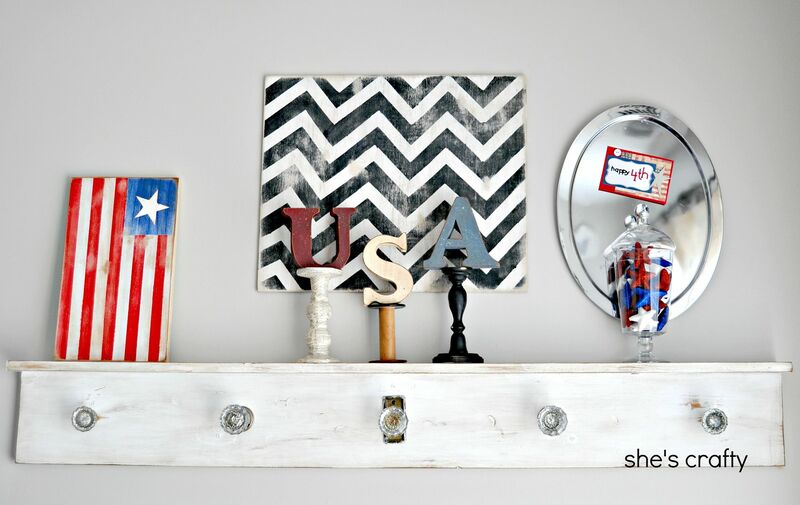 I especially love the USA letters on the mismatched candle holders! Fabulous job. I'm a new follower!